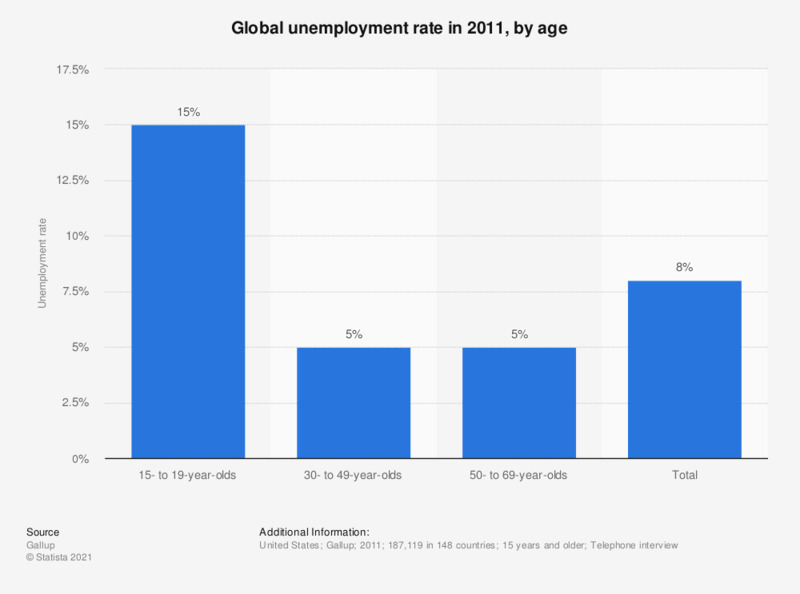 This statistic shows the global unemployment rate in 2011, by age. In 2011, the worldwide unemployment rate was at 8 percent. The unemployment rate among 15- to 29-year-olds was at 15 percent.